There are few things on earth that are more consistent than the annual release of Just Dance. This year will be no different as we will be playing Just Dance 2017 this October. The game will launch with six different game modes including the newly designed Just Dance Machine. This is a mode that is exclusive to current generation consoles and will challenge players to dance in various international dancing styles. The other modes include Sweat + Playlists, Just Dance Quest, Just Dance TV, and the World Dance Floor. We will have more information here on Pixelkin.org as we get closer to the release. Nintendo has a big year ahead of them in 2016. President Kimoshima, who took over after the unfortunate passing of President Iwata last summer, spoke to a Japanese newspaper to outline a five point plan for the company’s operations through the end of the year. Skylanders Superchargers (along with all the other games in the series) is a story based game where players take on the role of a Portal Master and command mighty heroes called Skylanders as they protect the skylands from the forces of evil. If that sounds somewhat cheesy to you… that’s actually pretty fair. The plotline isn’t exactly a paragon of originality, but this is a game designed for children. It executes the standard fantasy adventure tropes well enough and the writing is good enough to earn a few chuckles. The gameplay hook is straightforward and frankly that is one of the strengths of the series. The different characters are each aligned with a different element and you use them to battle your way through a series of different levels. You are encouraged to switch things up when the different levels present you with zones that give bonuses to characters of a specific type (Fire type characters might be stronger near a lava flow for example). There are also some secret areas that cannot be accessed without a character of a specific type. There is no doubt about it. Skylanders may still be a pretty simple game to play, but it has gotten more complicated as the years have gone by. In the original game (Skylanders: Spyro’s Adventures) you couldn’t even jump. The newest game gives you vehicles to drive, fly, and navigate. All of that said, the controls are the only part of the game that is tough to follow and that will come with practice. What exactly do I need to buy to make this game work? The Skylanders Superchargers starter pack comes with all of the figures that you need to complete the game, but in order to fully experience the game you need to have a figure of each element, a plane type vehicle, and a boat type vehicle. The best way to ensure that you are buying things that your kids need is to actually play the game with them. This way you’ll see it first hand and won’t make any costly mistakes. Take a look at the buying guide for Skylanders Superchargers that we have published right here. Disney Infinity 3.0 is, at its heart, a game about creation and play. The main feature of the game is the toy box. This is a game mode that gives players a blank slate within which to create their own play spaces. There are several tools and templates available to let players create all kinds of worlds in which to play. This is going to be either a blessing or a curse for each family depending on whether your family wants a direct story driven experience or, essentially, a toy. Parents who were gamers in their youth will remember how awesome some of the licensed Disney games were back in the day. Games like Aladdin for the Sega Genesis and Ducktales for the NES. Those days are long gone for a number of reasons, but the Disney Infinity series is part of Disney’s plan to deal with it. The strategy moving forward it to take advantage of the games platform and art style to let their development teams work efficiently and create playsets for all of their different licenses. Each playset consists of a unique game experience based on the license. This helps your family cusomize the experience. Not interested in the Inside Out game? Skip it. Obsessed with Star Wars? There are three playsets announced so far. This is the 3.0 version of the game so it does iterate on the previous versions. In the past it suffered from trying to be too many games at once. That is less of a problem now that Avalanche, the company behind Disney Infinity, has contracted other developers that specialize in things like melee combat and driving. The Toy Box mode is incredibly complex at a high level. Creating things using the game tools can take a lot of practice to get used to. As a result a lot of younger kids might just use it like a sand box and mess around. My kids once spent a good hour and a half spawning as many enemies as they could fit on the screen and then battling them with different characters. I know another family whose kids spent half an hour just repeatedly jumping off the edge of their world into the abyss beyond only to respawn a second later and do it again. The play sets are much more direct and feature gameplay themed after their licenses. The Star Wars sets specifically are story driven experiences. They are challenging, but there is nothing in them that will make them unplayable. Disney Infinity is a standout in this category because you don’t really need to buy anything in order to play the game. You obviously need to make sure that your kids have a character that they like to use. That will help them complete and earn everything in the base game. After that it is all about the playsets. Each playset and character that you purchase unlocks more assets for the toy box as well. If you want to know all of the details take a look at the buying guide that we published here. This is the newest entry to the Toys to Life category and it has been pretty successful so far. The LEGO series by Traveller’s Tales has been very successful over the years and LEGO Dimensions is an extension of that success. This a story driven game similar to Skylanders that follows the standard formula in most LEGO games. The difference is that instead of focusing on one property like Harry Potter or Star Wars it includes just about everything that Warner Brothers managed to license. You can play as a Ghostbuster alongside Homer Simpson in a level built based on Dr. Who. These absurd crossovers define the entire game and help deliver some hilarious jokes. The main hook for the game is the LEGO mini sets that come along with the various level sets and figures. I have seen a lot of parents express concern that their kids will lose the mini figures or incorporate them into their regular collections. The good news for those parents is that each figure or vehicle includes a small round base that carries all the relevant data so they don’t have to worry. In short: Yes. LEGO Dimensions is built on the same framework as previous LEGO games. There may be some puzzles where they might struggle if they haven’t played a lot of games before, but there is nothing that is insurmountable. We have a buyers guide that we have previously published, but at the end of the day this is another game where the Starter Pack is enough to be able to experience the main story of the core game. There are a HUGE number of extra characters and level packs that either have been or will be released that will either unlock additional content inside the main game or will actually add additional stages to the game. A Youthful Perspective: Mario Kart Wii and Super Smash Bros. Brawl! Engaged Family Gaming is all about helping kids enjoy games. What better way to do that than to share some reviews written by kids themselves! If your child or teenager has a game they want to share their thoughts on please reach out to us on social media or send an email to our editor in chief at Editor@Engagedfamilygaming.com. These first two games are relatively old, but they are great games to share with your family. Take a look below and see what Seamus T., 9 years old, has to say about them. We have published them as he submitted them to us with only minor edits. I have to say it was pretty impressive for a kid in elementary school. This racing game holds the common theme of racing, but takes it to a new level with the “Mario characters” theme. The variety of courses are appreciable to many. The ability to unlock new karts and characters put goals and excitement into the game. Mario kart is a game where you race with a character of your choice (You start out with 12) in a kart or bike of your choice in a stadium of your choice (you start out with 16) you are scored by the number of points you earn in the three lap race (or 3 if you don’t change the lap number in the settings) you do a team race where everybody’s points on a team are added up from the four races or you can play solo where it adds up all your scores from the four races. You can also play in battles coin or balloon coin where you collect coins on special battle courses and use power-ups to steal other peoples or the same thing with balloons except you start out with 3 balloons and you can’t find them lying around the course these are both team only modes. The next mode is time trials in which you race around a course alone with no power ups (except for three speed boosts you start out with) you can win characters in time trials do a trial in 16 courses (the number you start out with and half of all the courses you have to win the other half in grand prixs) and you get a character do 32 (all of them together). Super Smash Bros is a game built on many levels of adjustable rules, such as CPU levels (a player controlled by the computer that can help you on your team or fight as a opponent), rules, and even how you can win. This freedom is enjoyable to most players.The main feature of the game is the “Brawl Free for All,” in which you play a “deathmatch” with friends on multiplayer or just CPUs if you’re playing solo. Other modes include adventure mode (a leveled game), stadium (challenging your records on several minigames such as target smash and multi man brawl) and events (small games with goals such as to knock-out someone in a specified time limit) and many more. This game is good for people ages 7 and up, especially if you’re into video games since it takes characters from other games and puts them into one game. This game is good, but it does have a bit of violence in it. There’s no gore or blood, but there are so many moves for each character that the battling seem slightly over the top. Many different modes for playing, such as adventure mode, event mode, etc. Note: This is a guest post from over on ParentsGamingGuide.com. The game itself is a bit dated, but parents on a budget should be keeping their yes out because Skylanders Trap Team starter sets and figures should be PLUMMETING in price soon since Skylanders Superchargers will be out in a little more than a month! What makes this review even more interesting is that the Parents Gaming Guide website is being run by a teenager! This is some great writing for someone at their beginning of their career and it will only get better. Lets all show some love over at the site! Read some reviews! Comment! Share them on social media! The reviewer deserves a boost! Skylanders have kickstarted the toys to life genre of gaming. The basis of this genre is that a physical toy plays a role in a virtual game. No other game captures this better than Skylanders. 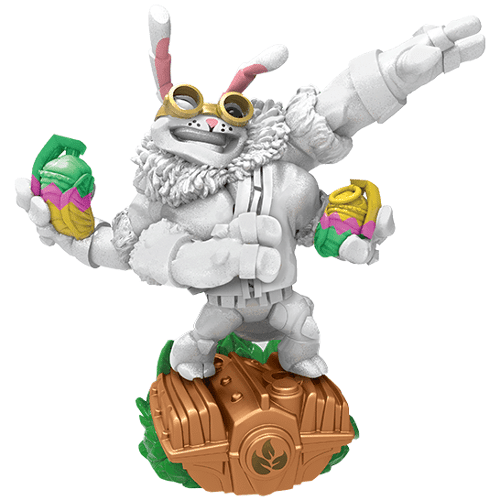 Skylanders games normally have you place Skylanders characters on the Portal of Power to play with them in the game, however, Trap Team builds on this idea by including villains too! Activision did not disappoint with this year’s cast of figures. There are 16 new Trap Masters, which are larger, more powerful Skylanders that have the power to open special gates and destroy Traptanium. There are also 16 new core characters, 5 returning characters and 9 mini figures that are smaller versions of fan favorites. Lastly, there are 4 new Skylanders that fall into the two new elements. Each Skylander has its own upgrade path which powers them up and supplies them with new moves. My only problem with the Skylanders is that specify elements of Trap Masters are required to open gates, making it feel like they are forcing you to buy more characters to get the full experience. The story mode behind Trap Team follows you, a Skylander, as you try to trap and return escaped villians back to Cloud Cracker Prison. You do this by exploring different levels, fighting enemies, solving puzzles and capturing villians. Each villain you find challenges you to a boss fight. The fights feel different enough from the basic enemy fights that you do not get tired of them. Once you beat the villian you can capture it by putting of trap of the villian’s element into the Portal of Power. Once trapped, you can switch between that villian and you Skylander through the press of a button. Each feels very different from the rest and applies some extra comedic relief through their banter. The best feature about the villians is that you do not need to spend tons of money to play as a lot of characters. Normally, Skylanders range from $10 to $17 each. However, each trap ($6 each) offers you 3-6 villians to play as. Additionally, each villian has a quest that powers them up. The Arena Battle Mode in Trap Team offers you challenges to complete during fighting sequences like defending a stash of food, lasting for a certain amount of time or surviving with one point of health. Each battle requires that you stick with one Skylander and one villian the whole time, which is a bit disappointing. However, these battles are a great way to earn money and experience to upgrade your Skylanders. The Kaos Doom Challenges were probably the worst part the game. They require that you fight off hordes of enemies one after another while defending an ancient coffin type thing. These battles were very repetitive and boring and I do not see myself going back to them. I would recommend this for children 7 and up. I think it would be a bit too hard for younger children. First off, it is pretty clear that they avoided including any of the human characters from the Nintendo universe. They chose a giant ape and a dragon-turtle-thing so I am going to assume that Mario, Luigi, and the gang are out. Here are some of my suggestions. I would love to hear yours in the comments! The biggest challenge to be found in making Kirby a Skylander would be implementing his skillset where he eats his enemies to take on their powers. But, that is a design issue that could be overcome. They’ve got a bunch of smart people over there. They could manage. Kirby has the advantage of being both easily recognizable AND adorable. He also had a wide array of abilities that could be him a lot of fun to play.They have had characters before that used air to move enemies around the battlefield (Jet-Vac), but he also has added mobility in that he can fly. Yoshi has been a mainstay in Mario games for a long time and has even gotten a few of his own. He would be a great fit as a Skylanders character as well. The ability to use his tongue to capture enemies and convert them to ammunition for other abilities would be a great mechanic to fuel some very cool powers. It would also give players some potentially cool powers for interacting with the environment. 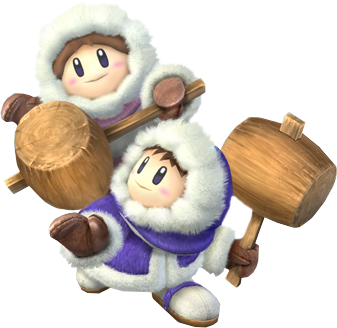 Ok this might be cheating a little bit since they are technically people like Mario and Princess Peach, but a pair of chubby, hooded mountain climbers could be an exception. They two of them appeared most recently in Smash Bros. Melee on the GameCube and were fan favorites for a long time there. I can easily imagine a whole move-set built around spinning around the different levels swinging their hammers. The challenge would obviously be that the younger player base of Skylanders might not recognize them since they are not frequently in games. This might even be a real deal breaker, but man would it be fun! This right here. This is the real deal. Putting the alpha pokemon into Skylanders could very well cause a black hole to form on Earth. I am hard pressed to imagine a character that could guest star in Skylanders that would draw any more buzz. Pikachu even fits into the Skylanders lore as there are plenty of Pokemon toys lying around. I could imagine a whole host of cool powers for him to use that would fit in quite well with the Skylanders Universe too.